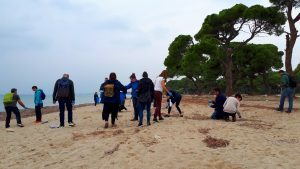 The last ACT4LITTER associated partners meeting, held in Athens on the 23rd of October 2018, was a unique opportunity for 30 MPA managers and marine litter practitioners to meet and share their experiences and lessons learned from the implementation of the final phases of the ACT4LITTER actions and exchange their views on the key steps and implementation modalities of priority measures against marine litter in Med MPAs. 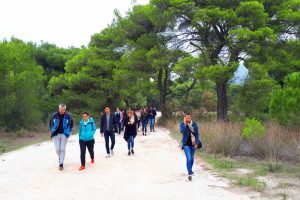 The meeting was opened by Prof. Michael Scoullos at MIO-ECSDE’s premises in the historic center of Athens, who welcomed the participants: “We are excited to have you all here, at the premises of MIO-ECSDE, on the very special occasion of the 3rd associated partners meeting. 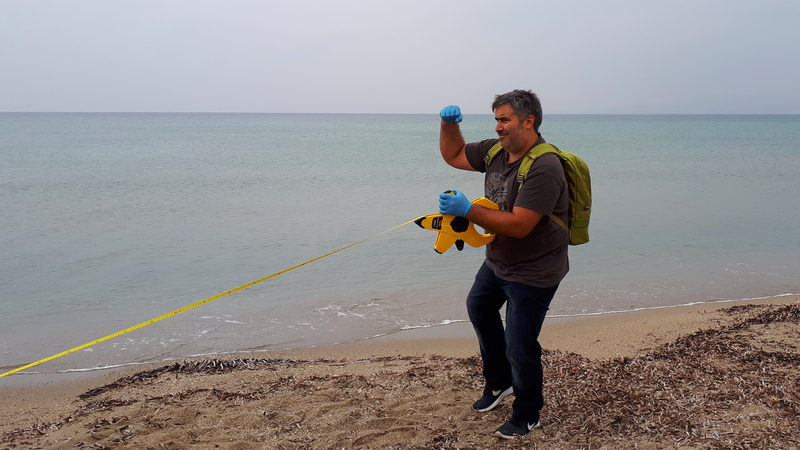 We are thrilled and relieved to see that the fight against marine litter in the Mediterranean continues and your contribution played a crucial role to the completion of ACT4LITTER with success. 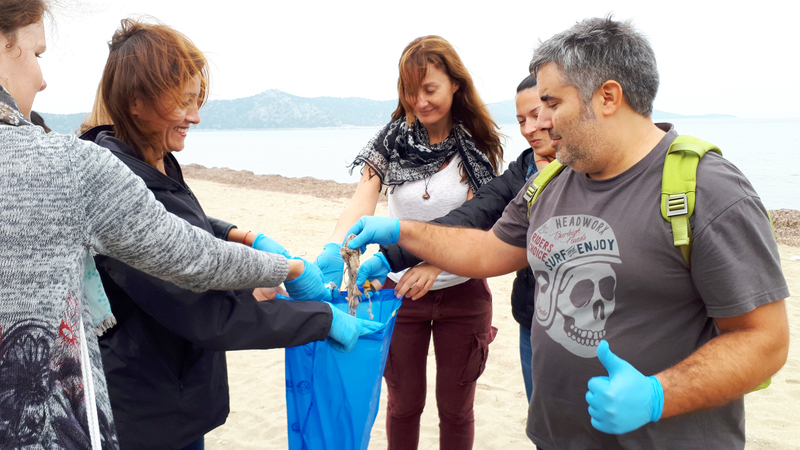 Marine litter is a ‘wicked problem’ that offers opportunities to work together, do more with less and break free from bad habits and we are happy to work towards this direction with people who are as committed to the fight against marine litter as you are”. 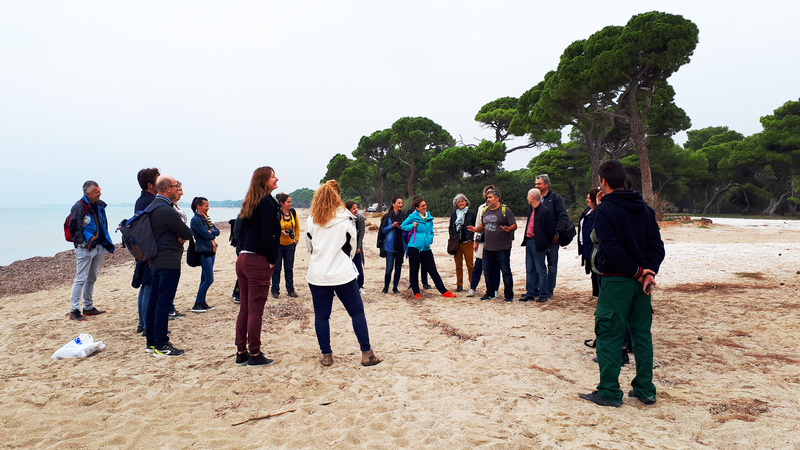 One of the highlights was the unique opportunity participants had to visit the National Park of Schinias in Marathon, the most important coastal ecosystem of Attica which belongs to the Natura 2000 network. 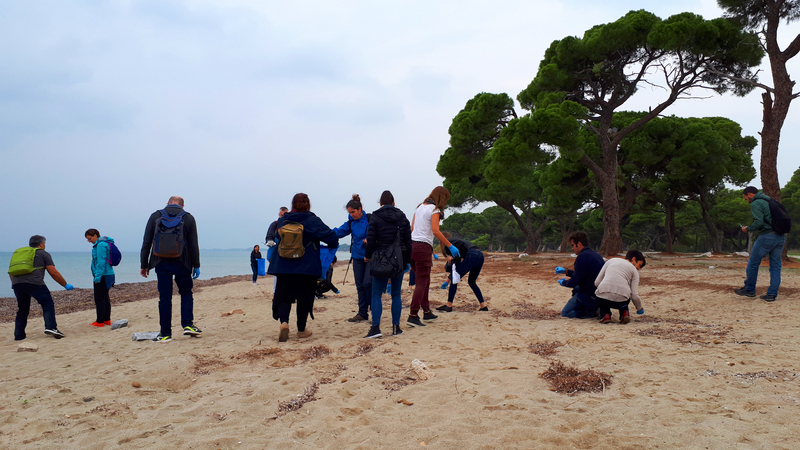 Ms. Eleni Katsirodi, Forest Engineer at the National Park introduced the participants to the key features of the park and provided a snapshot of the beach litter monitoring results obtained during the ACT4LITTER Marine Litter Watch Month. 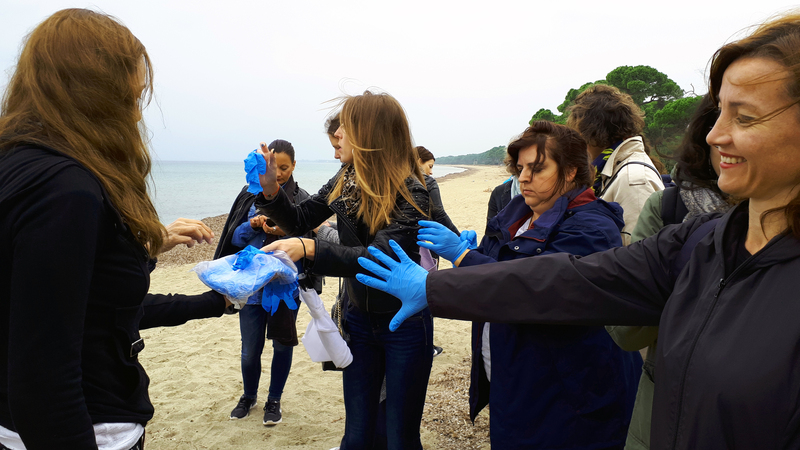 After vivid discussions and exchanges on the challenges MPA managers face in their daily operations, the participants conducted a beach litter survey. A very low density of litter items was recorded; some 150 items per 100-metre stretch, classifying the beach as a very clean one according to the clean-coast index. 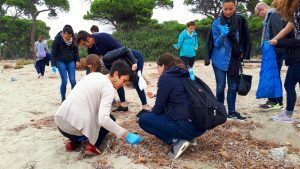 The majority of items found were cigarette butts and single-use plastic items. The final session of the meeting, hosted by the Marathon Run Museum, featured the priority measures against marine litter in Med MPAs shortlisted within the ACT4LITTER pilot actions. Measures like the extended producer responsibility scheme, the adopt-a-beach and awareness raising campaigns to stop marine litter were showcased and thoroughly discussed. Either as marine litter expert or as MPA manager, the participation of associated partners throughout the implementation of the ACT4ITTER project was of unique value as it ensured the delivery of well-targeted, effective and applicable solutions to tackle marine litter in MPAs.